Ralston Hall is one of the oldest buildings on the Peninsula, and its age is starting to show. 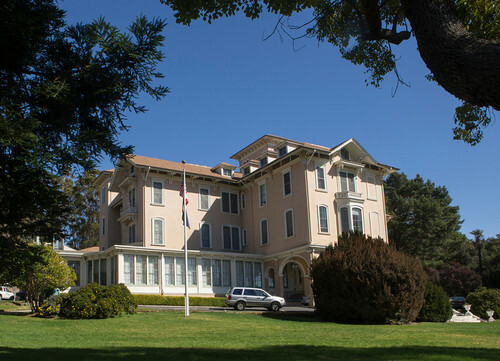 This historic building was built in 1868 by William Ralston and has been a central part of the Notre Dame de Namur University campus since. After this long period of time, the cracks are coming to light. Notre Dame de Namur had an engineering firm look over the building in 2011 and it was declared that the safety of the building’s occupants could not be guaranteed in an earthquake. Ralston Hall. Image courtesy of John Green of Mercury News. To make the building safer in the future, there must be a replacement of the foundation, seismic work on the upper floors of the building, reroofing, removal and replacement of existing siding, and localized replacement of the flooring in parts of the upper floors. The replacements are highly extensive and will cost the university $12 million to fix the building. The university does not have the money to make these improvements and are looking to outside sources like alumni and local historical groups. Although those on campus feel this is a necessity, others disagree. “We can’t retrofit every building for earthquakes. If it’s $12 million for one building, imagine how much it would cost to retrofit every single building. That money should go towards something we would all benefit from, like earthquake prevention,” said junior Aaron Goodwin. “The building is a historical landmark to the city of Belmont and should be protected in the case of an earthquake that would destroy it if not restored,” stated sophomore Nico Camerino. Many people around the university’s campus and Belmont have expressed their love for the building. Some of the students, faculty, and administrators have expressed that this building is the heart of the campus. While the building is important to those on the university’s campus, many Carlmont students, when asked, had never heard of it before. “I actually didn’t know it was temporarily shut down,” said sophomore Andrew Wach. The student and staff officers have been moved elsewhere for the time being, but hopefully this historic building will be safe again soon.